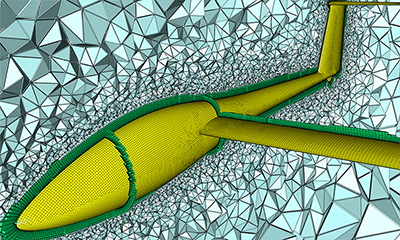 See how Pointwise V17.2 will help you quickly generate unstructured hexahedral boundary layer meshes using T-Rex (anisotropic tetrahedral extrusion). 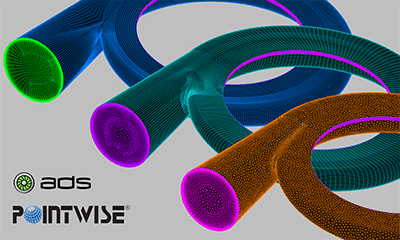 The latest release of Pointwise also provides automated tools for creating unstructured domains with multiple faces and baffles and for mirroring grids on export. Additional new features include new export support for CGNS, FUN3D and other popular formats. An unstructured mesh containing hexahedra, prisms, and tetrahedra generated by T-Rex. Image created with EnSight. Create layers of unstructured hexahedral cells with T-Rex. Use structured domains in Match boundary conditions for T-Rex initialization. 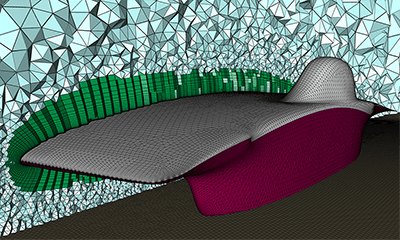 Automatically create unstructured blocks with multiple closed and baffle faces. Use the shading light source control tool to change how entities are shaded. Mirror symmetric grids automatically on export. Export to FUN3D, SC/Tetra V9 and Gambit Neutral file formats. 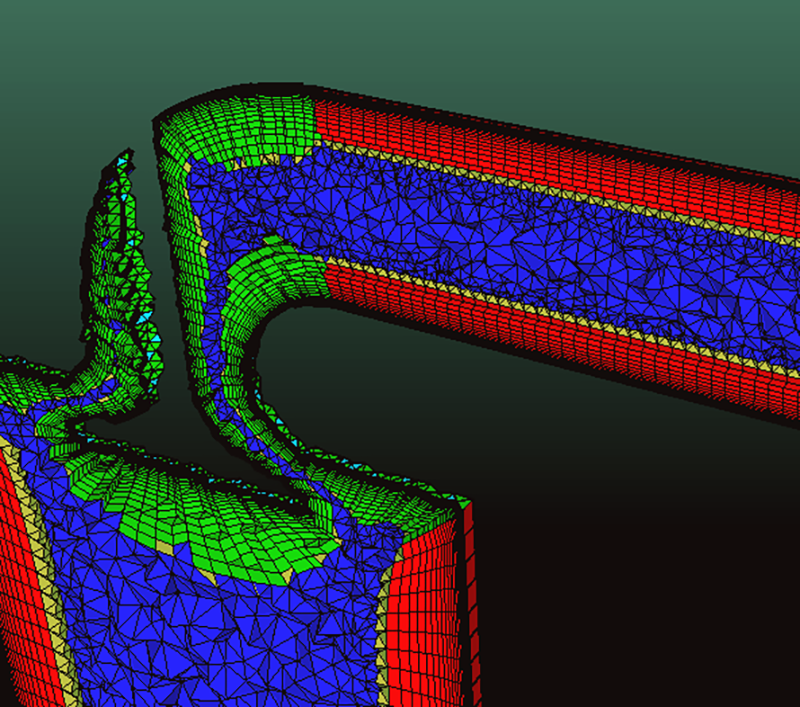 Use the upgraded CGNS v3.1.4 and NASTRAN export formats. Use the new Draw Curve toolbar button with pull-down list.